National Legal Services Authority (NALSA) is entrusted with responsibility to provide legal aid inter-alia to all persons in custody. 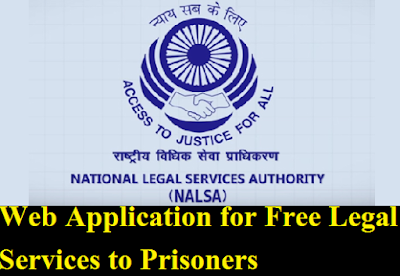 Today, NALSA launched a Web Application for free Legal Services to Prisoners and the Legal Services Management System developed through the NIC and the conference held at Indian Law Institute, New Delhi on 28.06.2017. Through Web Application the State Legal Services Authorities and District Legal Services Authorities shall feed the data for each individual prison inmate in the jails within their jurisdiction, with regard to their being represented through a counsel in the court. The software will be able to generate reports showing total number of inmates, number of inmates unrepresented, number of inmates represented by legal services lawyers and number of inmates represented by private lawyers. The said application shall make the legal services system more transparent; this application will be universally useful for all the relevant authorities to monitor the grant of legal aid to the prisoners in order to ensure that absolutely no prisoner goes unrepresented right from the first day of his production in the court. The above mentioned web application was launched by Hon’ble Mr. Justice Dipak Misra, Judge, Supreme Court of India and Executive Chairman, NALSA. The Conference was attended by the Member Secretaries along with their administrative officers of 18 State Legal Services Authorities. The launch was followed by an orientation session conducted by the NIC team.